ISR platforms have given us new advantages over our adversaries. To derive the most value we can from our ISR capabilities that enhances jointness and incorporates multi-intelligence technology that is interoperable and survivable. WiSC has been a leader in Capability-Based ISR Interoperability, ensuring the right data, gets to the right people, at the right time. 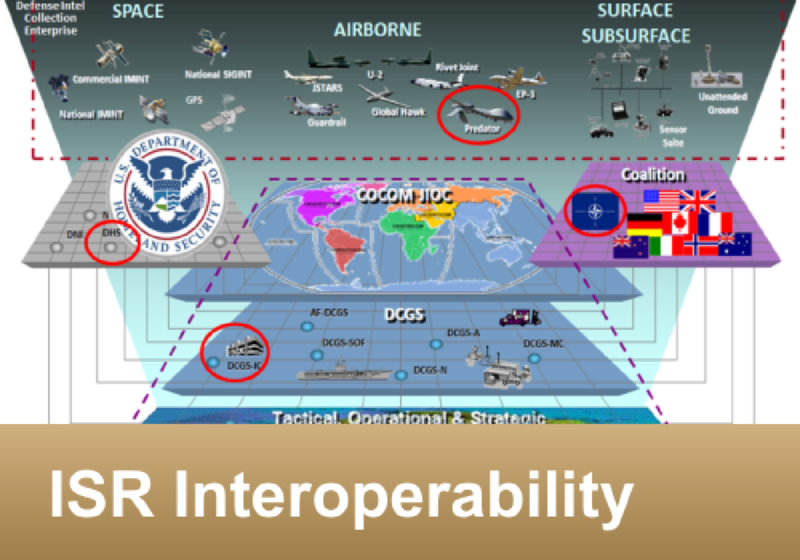 Capability-Based ISR Interoperability recognizes it's not enough to have connectivity. Nor is it simply moving 1’ and 0’s. It’s about moving the right 1’s and 0’s to fulfill a user’s needs/capabilities. WiSC ensures the Right Users Gets the Right 1’s and 0’s to Do Their Job!